Hi there! 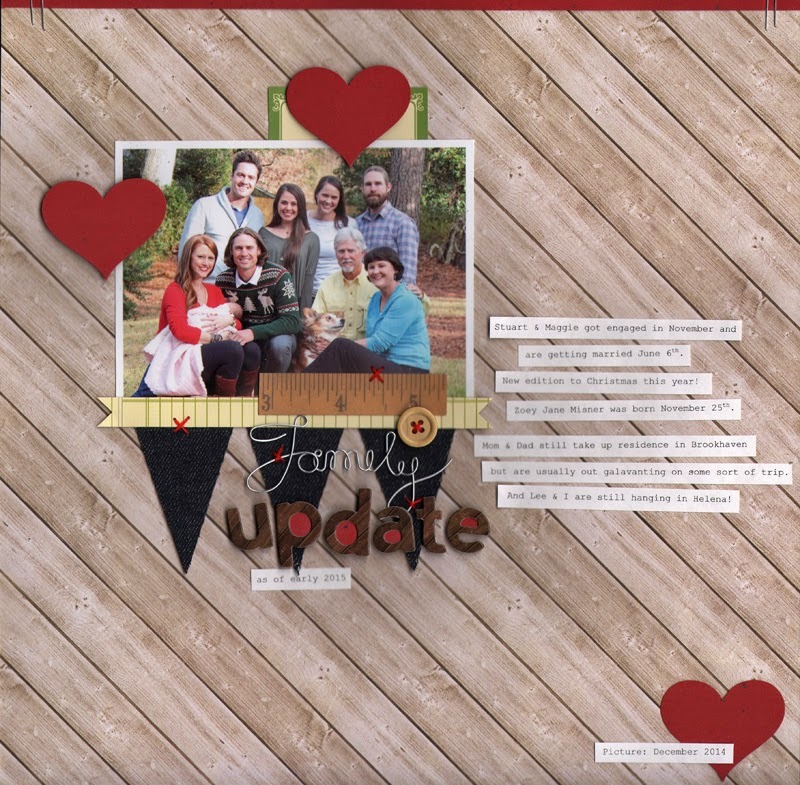 I’ve got a fun layout to share using a bunch of Jillibean Soup goodies! To make this layout I combined some of the Mix the Media ephemera, beanboard alphas, and one of the wire words with a sheet of the Soup Supplies III Coordinating Paper. I threw in a little red cardstock also to punch the hearts and create the strip at the top of the layout.The button, denim flags, ruler border, and the green label all came from the packs of ephemera. I love the fun bit & pieces in those packs!! Sometimes I have adhesive issues :) so I handstitched the denim flags, the button, and the wire word in a few different places to attach them to the page a bit better. Plus I like the way the handstitching looks! !